Whether you’re looking to replicate a machine from existing drawings or improve on your current solution, we have the capacity and expertise to help at a competitive price. 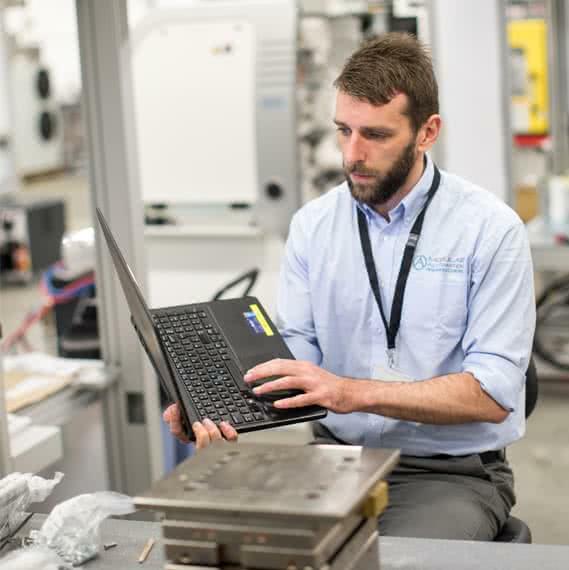 Our highly skilled engineering team identify opportunity for improvement in both design and engineering, from wiring to tooling to the machine’s finish. We will take your complete drawing package, mechanical, electrical and software, and build to an exact copy of the machine. This includes taking the build to print machine another step further by conducting a full factory-acceptance test on the machine before it is shipped. This guarantees that you receive a machine that maximises your production capability. We use your drawing package, but you may want us to improve a certain aspect of the machine. This can include the addition of safety functions, consolidating the drawing package, improving the documentation set, or correcting drawing errors. Our flexible approach ensures that your needs are met and the end result is a high performing machine. We review your package of drawings for the presence of obsolete components. This includes cameras, motors, motor drives, PC’s, PLC’s etc. Using our expertise and knowledge we then select components which offer the same or better process capability whilst protecting the regulatory approval of the end product. Within our newly built 50,000 sq. ft. facility in Shannon, Modular’s team of 150+ determined, accomplished engineers offers a significant advantage to build-to-print customers. We have developed an extensive global supply chain of leading-edge toolmaking suppliers with a focus on quality with no exceptions. Key supplier relationships allow us to be capable of fulfilling large orders within short delivery periods and at competitive prices. As drawings are evaluated, Modular identifies opportunities for improvement in both design and engineering, from wiring to tooling to the machine’s finish. When asked to replicate a machine our team will ensure that it is built better and safer – a key benefit of choosing Modular as a build to print provider and one that’s recognised and appreciated by our customers. We offer a structured project delivery, so you can track every step of the way. Dedicated project managers organise and oversee all aspects of a job and communicate progress back to you on a weekly basis. We position your needs and concerns first and will listen and respond timely and effectively. The machines built by Modular are to the highest standards of quality and safety in the industry. Each part we have manufactured is laser engraved with a part number and revision level for future reference and is fully traceable on our ERP system down to the quantity, revision level, delivery date, manufacturer and purchase order. Our experienced team will ensure machines meet regulatory requirements, such as making a solution CE compliant. Once we have built the contracted machines, we will install the software and test the newly improved solution. When the machines are complete, assembled, tested and shipped, you will have the reassurance that you’ve received a top-quality, reliable solution that works. We are committed to quality at every step of the process. We recognise the costs involved in research and development and therefore do everything possible to safeguard our clients’ exclusive information. Within our newly build innovation centre each individual project is assigned its own pod to ensure utmost confidentiality. It is this discretion that has allowed us to expand our capabilities to deliver projects for some of the largest medical device firms in the world. In 2016, a long-standing customer and renowned multinational leader in medical device solutions approached Modular to replicate several machines. In medical devices the quality of the equipment is critical, our customers require a partner who is experienced in building to the highest quality standard.